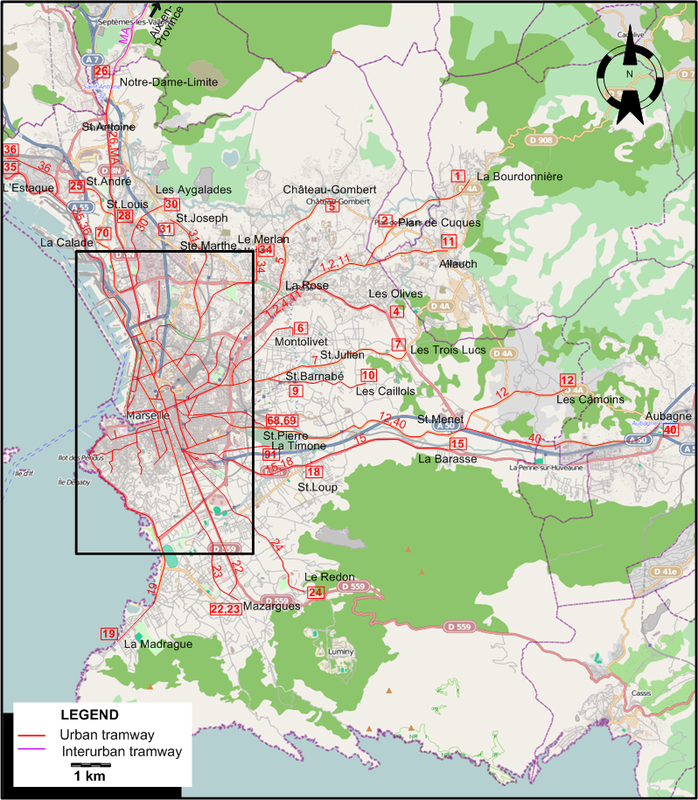 Marseille at the maximum size of its tramway network. 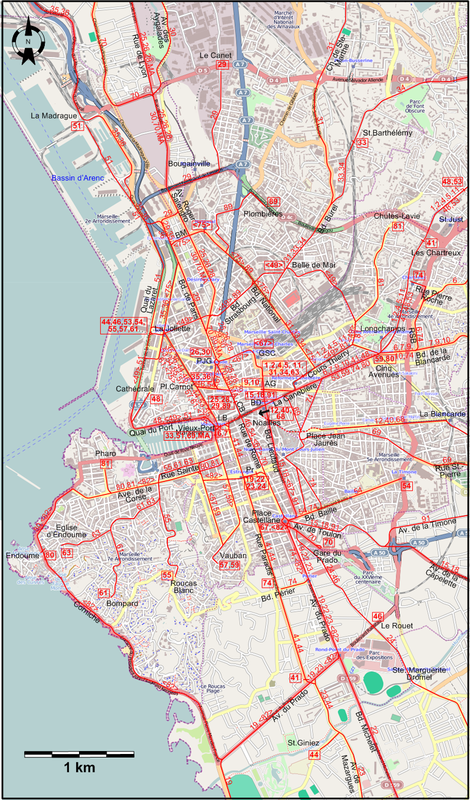 Note: The city termini of routes 30 and 89 are based on the situation in 1939: my sources do not provide it for 1930. The circular nature of route 67 is also in doubt. Urban tramway: ca. 180 km. 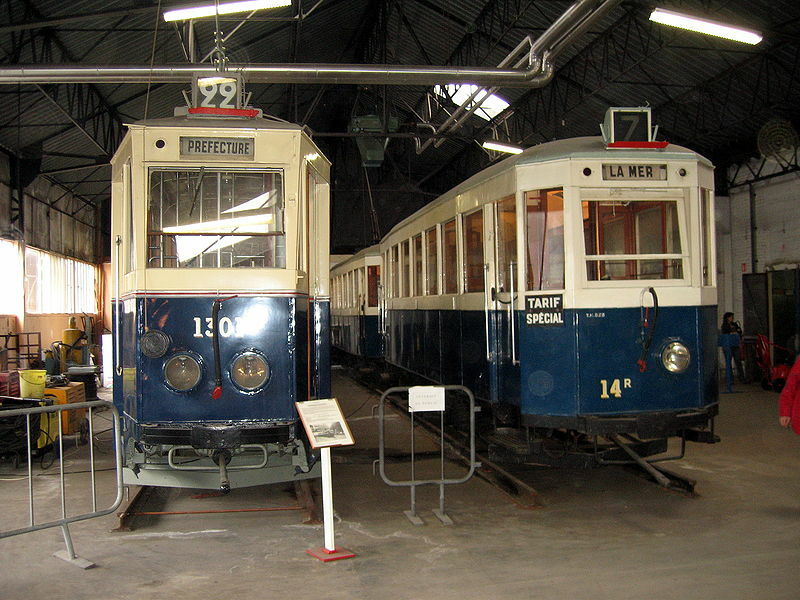 Interurban tramway: 21 km. (not including shared tracks with the urban network in Marseille).